For day 1, I began to soldered the headers to the Razor IMU and Ardupilot boards. I then checked to see if both boards are working correctly. Test verify that both boards are working properly. I am installing an auto-stabliized system on Scout V2. To achieve this I will be using a inertial measurement unit, or IMU board. This electronic device tracks and reports the velocity and orientation of the aircraft. 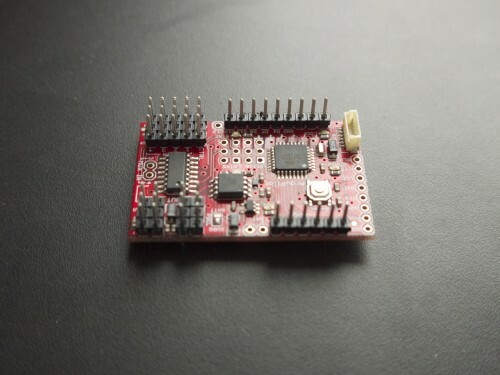 The Razor IMU is a 9 degree of freedom IMU sensor board. The Razor IMU has a 3-degrees of axis accelerometer, 3-degrees of axis gyro, and 3-degrees magnetometer. Adding these three sensors degrees of axes together, creates the boards 9-degress of freedom. The Ardupilot is the brains of Scout V2. 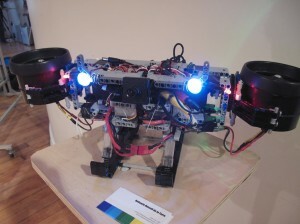 Both the propulsion system and IMU runs through the Ardupilot. 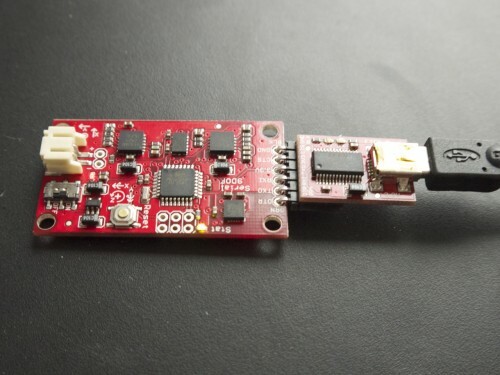 The Ardupilot takes the sensor data from the IMU and adjust the Scout’s propulsion system to both keep the aircraft level and to control auto-navigatation. For my thesis I will continue developing my project Scout. This time I will take what I learned from building Scout to create a new design. For thesis, I will be creating a second version of Scout. Scout 2.0 will have 4 motors instead of two, allowing for a greater lifting power. Instead of using Lego bricks for the airframe, I will use carbon fiber. Choosing carbon fiber as the building material for the airframe will allow for a more rigid and lighter frame. I will then install a auto-stabliizing system. This will allow Scout to auto level itself and allow the user to focus on navigation. Here are a couple of video from the Spring 2010 ITP Show. Credit goes to Nisma for documenting the projects at the ITP Show. Scout from Nisma Z on Vimeo. Scout (2) from Nisma Z on Vimeo. World of Russ by Themebuilder | Entries (RSS) and Comments (RSS).